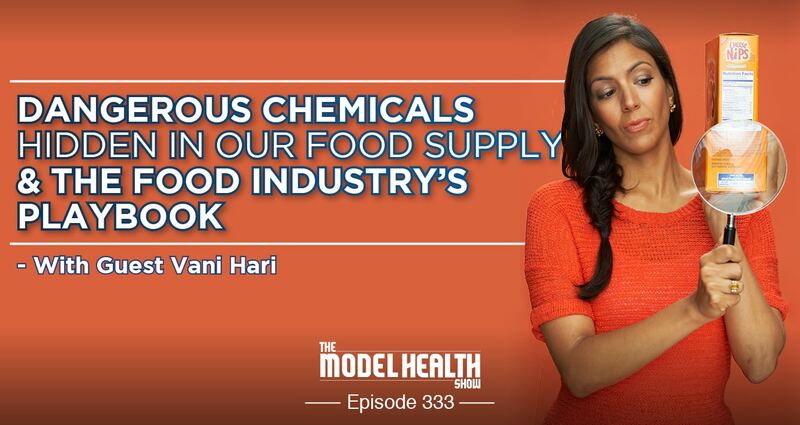 Vani Hari, also known as the Food Babe, has advocated for not only herself, but all of us by challenging food companies and organizations and holding them accountable for their actions. Today, she is here to share information from her new book, Feeding You Lies. Vani is discussing the details behind how nutrition research is manipulated, and how the food industry generates fake information. Which two manufacturers use the most sugar in their products. Three important questions you should ask yourself before you eat. We've got a very, very special episode in store for you. It's somebody who's just absolutely helped to transform food as we know it in our culture. She is the person who's advocated to get a lot of these crazy toxic chemicals out of our food supply. Alright? We're talking about major companies like Subway pulling out ingredients from their bread that's found in like yoga mats, and is like linked to like stomach cancer, and all this crazy stuff that we just didn't know about, and she advocated and got these companies to make these changes. Can you imagine what it takes to make organizations- multi-hundred million dollar, billion dollar organizations to make changes to what they're doing with their food? Name one person. Wow. It's incredible, but it wasn't just one person. She was the first domino, and she created an army. Literally it's called the Food Babe Army, and I've got her on the show today to talk about her new project, and I think you're going to get quite an eye-opening experience. Listen, with what I do, I always like to turn the towards the positive and optimistic side of things because at the end of the day, learning about the things that are wrong with our system gives us the opportunity to choose better. Right? It gives us the opportunity to learn from our mistakes, because a lot of these organizations, they're not even necessarily bad people, they're just trying to take care of their bottom line and what they believe, and feeding their families in a sense. And you'd be also surprised to find out that a lot of these organizations don't eat some of the things that they talk about. You know? They don't eat their own food products because they know that they're pushing out things that are detrimental to human health. That's not always the case. Again, there are some companies and organizations that are trying to do the right thing, but new data is coming forward, and as it does, there are people like my guest today who are out there advocating for us so that we can continue to make changes to our food supply. Alright? So even though I err on the side of optimism, sometimes we've got to look at the dark side of stuff, just so we know what we're dealing with, because it's not always all sunshine and roses, as Rocky would say. But we've still got to get up, we've still got to make a difference and do the best we can. And so I'm really excited to have her on. But listen, we've got a giveaway going right now. Alright? For me, I'm a huge advocate of fueling ourselves with the very best things possible, alright? And when we know better, we do better. And I remember back in the day when I first began to hit the gym and I was hanging out with my buddy Jeff, who lived down the street from me at the time. He was already a veteran in the gym, alright? Even though he was probably younger than me. I was like fifteen years old, and you've got to hit the pre-workout. You can't just go work out. Get that pre-workout. And I'm feeling like Pokémon or something. Like I've some like electric- like Beyblade, like Goku energy vibrating off of me as I'm like trying to do my bench press, and it just wasn't right. And of course there was a crash that came along with even taking pre-workout supplements. And the industry itself is just wrong, alright? And so there's got to be a better way. Alright? So fueling ourselves ideally with real food is a big part of the equation, but when we're looking at pre-workout supplementation, we need to make sure that we're getting things from earth grown nutrients. Things that have a long history of scientific study so that we're not just experimenting on ourselves with these crazy new pre-workout supplements. And so for me, cordyceps is such a huge resource that I've been using for over ten years. And now I've got access to- by the way again, we're giving away bottles of this pre-workout supplement. Alright? It's based on cordyceps medicinal mushroom, and here's why. This formula was the subject of a double blind placebo controlled trial. This is the gold standard of clinical trials. This was a twelve-week clinical trial performed at Florida State University using test subjects to find out how does this actually impact when you are working out? And what they found was that by taking Shroom Tech Sport, they increased their bench press reps by 12%. You increase your bench press reps 12%. That is crazy. Also shown to increase combined bench press and back squat reps by 7%. So if you're doing the superset jump-off, 7% increase. 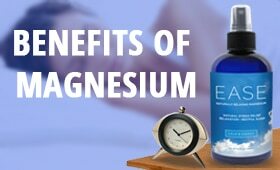 Also shown to increase cardiovascular performance by 8.8%. Listen, this is the real deal, alright? This has been used for thousands of years, known to improve stamina, improve the function of our lung health, known to improve the function of our insulin sensitivity, all with cordyceps medicinal mushroom in this Shroom Tech Sport formula from Onnit. Alright? We're giving away free bottles right now for you to try out yourself. Go to www.TheModelHealthShow.com/sport and get hooked up with a free supply of Shroom Tech Sport from Onnit. Alright? It's one of the things I literally travel with. It's not just pre-workout, it's pre-life. Alright? If you've got a big day ahead, you need to be sharp, get your stamina up, get your energy right without the correlated crash you would see with things like getting hopped up on caffeine, and these crazy pre-workout supplements, and things like that. I've got friends right now who are constantly getting hopped up on these synthetic pre-workout supplements, not just for their workout, but just to make it. Right? Because their endocrine system and their nervous system have just been so damaged and abused by using these things that just don't have any grounds and anything real or natural. And again, cordyceps has been used for thousands of years. It's more of a tonic, something that you add in, and it continues to support you, and when you're not on it, you don't get some weird like withdrawal symptoms. That's not health, right? So again, I definitely recommend checking them out. I think that you'll get a lot of value from it. And again, it's a free trial, so pop over there, check them out. 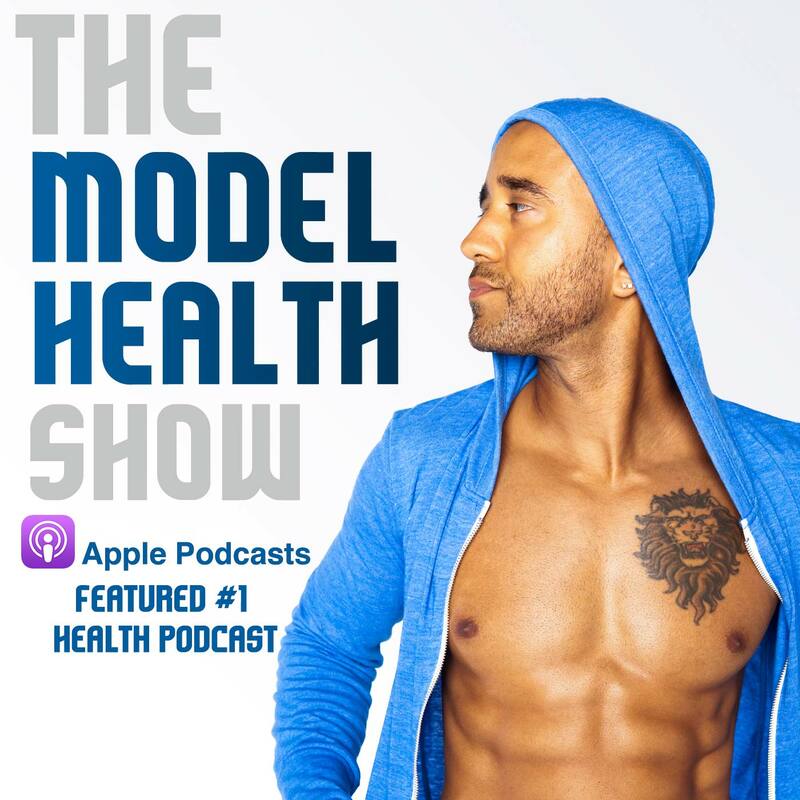 It's www.TheModelHealthShow.com/sport. Alright, www.TheModelHealthShow.com/sport to get your free bottle. And on that note, let's get to the Apple Podcasts review of the week. ITunes Review: Another five-star review titled, 'My New Favorite,' by ButterfliesAndBaseballs. "This podcast is my new favorite. I can't get enough. I've listened to eight in the last week. The information is presented in such a way that it's easy to understand and make it a part of your life. Thank you." Shawn Stevenson: Thank you so much for leaving me that review over on Apple Podcasts, I appreciate it so very much. Please everybody, if you've yet to leave a review, pop over there and leave me a review for the show. Now again, my guest today has been a world changer, industry changer, and she's just really a superhero in this field, and I'm very grateful to have her on today. Her name is Vani Hari and she is a revolutionary food activist, a New York Times bestselling author, and was named one of the most influential people on the Internet by Time Magazine. And she started www.FoodBabe.com to spread information about what is really in the American food supply, and she's influenced major food giants like Kraft, General Mills, Subway, Chick Fil A, and Starbucks, to create products, steering them towards more healthful policies. Hari has been profiled in the New York Times, The Atlantic, Financial Times, Wall Street Journal, and many other media outlets. And she resides in North Carolina with her husband and her little girl, and she is back on The Model Health Show for the second time. I'd like to welcome my friend, Vani Hari. How are you doing today, Vani? Vani Hari: I'm doing so good. Thank you so much for having me back, and it's so good to get to be here in person. Shawn Stevenson: It's my pleasure, thank you for coming to see me. You brought your little baby. I mean, she's not here, but she came on the trip. Vani Hari: Yeah, she did, and she follows me everywhere I go, and I'm so happy to have her with me, and it is just a joy to know that she can travel well. Shawn Stevenson: Yes, oh my goodness, I bet. And she's two now, right? Vani Hari: Yup, she is two. Shawn Stevenson: Already into Legos. Vani Hari: Already into Legos, and we snuck a green smoothie on the plane. So that was really fun getting the TSA agent to test it, and he was like, "What's in this? You get her to drink- she really drinks this green thing? Is this for you?" Like he did not believe me. Shawn Stevenson: Oh my gosh, it's just the environment. You know? Like people would be pretty blown away to see the stuff that my son Braden- he'll do the green smoothie thing, and also like Organifi. Like this green blend. You know, he'll guzzle that stuff, little guy. There's no way when I was his age- no way I would have came in five feet of that stuff. Shawn Stevenson: The color alone. Vani Hari: No way. No way. Shawn Stevenson: So that's awesome. Well, you've got an incredible new book, 'Feeding You Lies,' and man, it's like a movie. And also of course it's just loaded with also these different insights about the food system, and about some changes that we can make. And you provide this forty-eight hour toxin takedown as well in the book, but I want to start off by talking about- well first of all, you don't eat a lot of this stuff anymore yourself. I want to know why you are still so passionate about getting this message out there. Vani Hari: You know, this stuff- the processed food that I talk about in this book - the ingredients, the brands - they're still thriving. They're still full of- there are still grocery stores full of these ingredients, and these products, and these chemicals, and they're still in every gas station, they're still in almost every school. They are everywhere, you know? Today I go into a news stand at the airport with my daughter - I was just trying to distract her so I could go use the restroom real quick - and I was like, "Here, you can play with this for a second." And she was playing with Butterfingers, and Kit Kats, and York Peppermint Patties, just going back and forth. She's two, you know? And I just had- like when I got back I said, "Hey, I just want to let you know, like these things are yucky, and these are things that Mom is teaching people about, and the ingredients in them, and these things are not good for your body." And she just kind of looked at me, and she goes, "Yucky?" And I go, "Yup, yucky." You know? And I just know that there are so many people out there that don't know the truth about the food industry. And they were just like me, really just fell victim to the lies that are out there that the food industry perpetuates through these very interesting measures. Not only just the marketing and the packaging, but things that are just completely sinister, like the tobacco industry used to do. Shawn Stevenson: Right, oh my goodness. It's so true. And you know, so right now, you have made a dent, but the ship is still rolling on basically, and you've just got a lot of work to do. And I appreciate that, and you having the audacity to do this, and the stuff that you've been through is just- and we'll talk about some of that in a moment. But one of the most eye-opening things- which I know a little bit about, but you detailed more of it, is the fact that a lot of the products here on our store shelves, or even fast food, some of the ingredients used are not used in other countries. They're banned in other countries, and we still have them here. Like McDonalds' fries, for example. Can you talk about that a little bit? Vani Hari: Yeah, absolutely. So McDonalds' fries is like one of the greatest examples of this. So when you buy McDonalds' French fries in the UK, there's four basic ingredients; potatoes, oil, dextrose (which is a little sugar) and they add salt after they fry it, so you can actually determine how much salt you actually put on the French fries in Europe. Now here in the United States, there's a slew of chemicals used, one of them is called dimethylpolysiloxane, and it's the same ingredient that's used in Silly Putty. It's an ingredient that can be preserved using formaldehyde, and this is something that really hasn't even been tested or reviewed by the FDA, but it's used in the oil as an anti-foaming agent. And that's an ingredient that's in McDonalds' French fries here in the United States, for example, that doesn't need to be there. They obviously make these French fries in other places and other countries perfectly fine without these chemicals, and it's a cost-cutting measure. It's something that they use to preserve the oil, and it doesn't need to be there. This is just a good example of just the discrepancy of an American company choosing to serve their own American citizens lesser quality food. And this runs the gamut between just about every single food company here in America and worldwide. One of the greatest examples was Kraft macaroni and cheese. You know, Kraft macaroni and cheese in the UK was made with beta keratin and paprika. Shawn Stevenson: For the color? Vani Hari: For the color, right? And here in the United States it was Yellow 5 and Yellow 6, and it wasn't until the petition that we started that gained over 300,000 signatures convinced Kraft to finally eliminate Yellow 5 and Yellow 6 because those artificial food dyes are linked to hyperactivity in children. There's no proof actually, and no testing being done, and there's this inherent reasoning that you think that the FDA, because it's the Food and Drug Administration, that you believe that they're testing all of our chemicals that go in our food, and the food that all processed foods are safe, but they're not. The majority of chemicals that have been invented in the last fifty or so years have been only invented for one purpose only; not to improve our health or nutrition, but to improve the bottom line of the food industry, to make processed foods cheaper to produce, and a lot of those chemicals have been extremely risky to our health. Shawn Stevenson: Right, and to produce not just cheaper products, but to make us eat more of them as well. Shawn Stevenson: And you talk about that as well, the addictive factors of many of these things. And one of the things that we- the thing is, we can't take it for granted that we do know this. I just saw a list the other day, I mentioned this on the show, of like the top five most addictive substances for humans. It was like cocaine, and heroin, and tobacco. I was like, "Where's sugar?" It didn't make the top five, but sugar is probably the most addictive thing that doesn't have a warning label along with it. You talk about some of the lies regarding sugar in the book, so let's talk about that. Like how is sugar still playing a huge role in our consumption? Vani Hari: Well, the two biggest manufacturers that use the most sugar are Coca Cola and Pepsi, and they're using it in our soft drinks. And they use so much sugar- I mean they are basically the sugar industry, right? Coca Cola and Pepsi. And so they have really driven the education, the agenda, they have driven the propaganda for us to believe that fat is a culprit for the reason why we're getting fat. That we're not exercising enough is the reason why we are obese as a nation or have heart disease or diabetes. That there's other reasons why we're sick as a nation. And one of the true culprits of the reasons we are sick is because of the amount- just the pure amount of sugar in our diets. I mean, it completely wrecks our liver, our immune system, and our bodies. And Coca Cola knows this, and they've known it for so long, just like the tobacco industry has known that their cigarettes are addictive with nicotine. It's the same thing, and so they have worked with government officials, they've worked with hired experts, they've hired university professors and universities to do studies to benefit them, and this is all revealed in the book, and it shows you the playbook that they followed, and enacted to take the blame off of soda, and sugar, and put it somewhere else. Shawn Stevenson: Yeah, like you said, you've got the playbook here in this book. It is nuts, and we'll come back and talk about that, because one of the sections is where we were looking at Coke fighting obesity, and a mission that they were on, and funding to basically make them look like they have nothing to do with obesity. You know? And so fascinating to see this stuff, but here's another pivot, or a little tricksy thing. When I think of that, I think of- I don't know, have you ever seen Lord of the Rings? Shawn Stevenson: And that little Gollum, he's like, "Tricksy habits." Sorry. So listen, what they did was they pivoted and they went with the artificial sweetener, right? They were like, "Coke might be- but here's Diet Coke, or Coke Zero." And you highlight how these artificial sweeteners might be worse in some aspects than the conventional sodas. Why is that? Vani Hari: You know, a diet- the fact that diet is even synonymous with Coke kills me, especially for the fact that the ingredients have artificial sweeteners. Because what happens when you consume a diet drink or anything with an artificial sweetener, that sends a signal to your brain that you're consuming something sweet, and not getting any actual calories from it, or any nourishment from it. What it does is send a signal to your brain to say, "Well, wait a minute, I'm consuming something sweet, but I'm not getting any calories or energy from it, so I need to still get that energy from something else." And so you continuously crave, and your cravings start to increase even more when you're drinking Diet Coke. So people are drinking Diet Coke and thinking, "Hey, I'm not having any calories, so I'm doing good. It's going to help my waistline, it's going to help me stay thin," and still get that buzz from that caffeine and that sugary taste. But really it's just counteracting all of the progress that they are looking to achieve in their body, and when you start to remove all of these artificial sweeteners from your diet, and start to go to like- when you really want something sweet, going for something natural out of nature. Like an actual apple, or strawberries, or blueberries, or mangoes, or whatever. That mechanism is built in to that fruit or vegetable, or whatever you're consuming, to have fiber, to have nutrients, to have micronutrition that's in there to help your body digest it better, to receive minerals and vitamins, and to send a signal to the brain to stop eating it too, and you can't do that when you're drinking Diet Coke. Shawn Stevenson: Absolutely. I did- and this was not that long ago. I did an episode, it was like a master class on soda. It was called The Story of Soda, and I went from the very beginning. Like the first concept of like carbonated water and something sweet in it, and the manifestation. Because it used to be at pharmacies. Like you'd go there to get these kind of healing tonics with different medicinal herbs. It had some kind of a good intention, and then it just got mutated into this massive monster it is today. But one of the studies that I cited was- and it was a very well-done study, and it found this link between consuming these artificial sweeteners that are found in soda and dementia. Because right now, you're talking about the impact that it has on our brains, and our brain's connection with our gut. Another thing that it does, and that we've seen now, we've got clinical proof, it really kind of screws up your microbiome. Right? These artificial sweeteners are not very friendly with your rainforest in your gut in a sense. You know? And so just problem after problem after problem that we kind of overlook and we're just like, "Oh, this is diet." You know? Because of that word. And so that's one of the things that got you going in the first place with you kind of trying to take care of your own health was like Lean Cuisine. Right? It's just in the name, "Oh, it's lean." Yeah, I did the same thing. Vani Hari: You know, and that's also part of the food industry's playbook, is they use these words on packaging and marketing to make you think that something is healthy when it's not. I mean, it runs the gamut across the board. Another great product, there's a product I talk about in the book that's Sargento shredded cheese. And Sargento shredded cheese, like on the package says, 'Off the Block.' Right? It says, 'Off the Block,' like you're grating the cheese off the block, like a real fresh nice piece of French cheese. Right? Well then when you turn the package over, it has cellulose added to it, and cellulose is like one of those derivatives that comes from wood, but they've found recently that the abundance of it, it actually- I mean, some shredded cheese packages can have up to 30% cellulose in it. Vani Hari: I mean, it's something ridiculous like that. I'm not saying Sargento does, but they found some that do, and that cellulose, what it does, it does mess with your microbiome. And so then it starts to mess with your metabolism and how you're able to burn fat. And so you think you're buying like a superior product, and something that's premium because of this 'Off the Block,' but it's really not. Shawn Stevenson: Okay, we're just scratching the surface. Another tactic that is a little bit- it's been done for a long time, but now we can see with new eyes, like you mentioned, it's like get them in early. Right? Really targeting kids. Vani Hari: They still have them. Shawn Stevenson: Oh my God. Vani Hari: They were my favorite. Shawn Stevenson: There's one that was like a candy gum cigarette. Shawn Stevenson: And then it had like powder sugar, you could blow the smoke out. Shawn Stevenson: Oh man, the coolness. Vani Hari: They still have it. Vani Hari: See? This is why I'm doing what I'm doing. They still have this stuff. Shawn Stevenson: I thought it was extinct. But Big League Chew as well, like the fake tobacco was like gum. Oh my gosh. But now, they're fortifying candy with vitamins, and you mentioned this in the book, which I just haven't had my eyes out to see that. So, talk about that. Vani Hari: Yeah, no they're fortifying just about everything. I mean, I think the biggest interesting thing about fortification had to do with cereals, how cereals have targeted children. And everything from Frosted Flakes to Froot Loops and whatnot, and if you look at one of the biggest cereal manufacturers of this world - Kellogg's - you'll find them being caught funding studies that tried to show that eating cereal somehow makes you thinner as a child, and makes you more fit. And it's in the way that they present the data is extremely misleading, and it doesn't actually show you that someone who is on a well-balanced diet actually serves better than a person that's eating the cereal, but they only showed the data that benefited them in the study. Vani Hari: And of course then, the media latched onto that and the headline is everywhere that cereal helps kids stay thin, and they're just trying to promote their own agenda. And just because a cereal has Vitamin A or Vitamin C added to it, or some whole grains, doesn't mean it's a healthy way to start your day, because a lot of those cereals are pumped full of these artificial food dyes that affect hyperactivity which doesn't help school, it doesn't help other things. They're also pumped with different levels of sugar, which also affect your brain development. Right? And my mom's texting me, she goes, "I told you so. I didn't like it anyways." Vani Hari: You know, and she was like, "I've always liked butter," or whatever. And I'm like, "Butter's great," but she was texting me saying that this is something I have to write about. Because when you dig deeper into these headlines, you realize that it's the American Heart Association putting out this claim, and wait a minute, the guys who did the funding and the study behind this are actually paid by the inflammatory oil companies like canola, corn, and soy. And no wonder they're trying to demonize coconut oil, because it's a trend, and it's a health trend, because there's a lot of healthy components of coconut oil that far exceed the benefits of some of these inflammatory oils made from genetically engineered crops and extracted with very carcinogenic gases like hexane. So it's really sad kind of situation we have with the way we are consuming health information about food, and how it's being driven by the food industry. And so we as consumers have to understand what's happening, and there are so many different tactics being played, and I go through all of these different tactics. And the reason that I became so aware of these tactics is because some of them were played on me as an activist, as someone who was able to garner a community of people and change dozens of multi-billion dollar food industry companies for the better. Whether it was getting Starbucks to remove caramel coloring, or become more transparent, and to finally release the ingredients in their drinks for the first time in history so people knew what they were drinking, or getting Anheuser-Busch to tell us what's in their beer, or getting Subway to remove a hazardous chemical that was banned in all these other countries, and you'd get fined and put in jail for in Singapore. You know? Or getting Kraft mac and cheese to finally own up to an ethical policy, going through all of those campaigns and being a target of someone they wanted to stop. I saw the tactics they're willing to employ. I mean, they're willing to do anything to try to get me to stop. Vani Hari: And so everything from- I tell a really interesting story in the book about I was on my book tour campaign back when 'The Food Babe Way' came out, and I was sitting in a Costco with a long line of people signing books. And it was cool that I was even in a Costco signing this book that was all about the food industry. Right? Vani Hari: Go Costco. But now they're the biggest organic footprint of any grocery store, so it's amazing what they've done. Anyways, so I'm signing books, and a guy comes up to me and he apologizes. He says, "Hey, I was one of the Wikipedia editors that was hired by the food company PR folks to negatively remark on your page, and to remove any positive comments about you on your Wikipedia page." And I was like, "Whoa." I was just stunned. I was not only stunned, but I was like with a long line of people, and I was in the middle of the moment, and just meeting all these fans. And like I wish I had like grabbed him and gotten all of his information, and quizzed him, and like was able to out the PR firm, and like do the investigation, and really show what was being done. But you know, luckily there's been some incredible evidence that has been presented. The Atlantic did an amazing investigation into this, and they showed that if you go on these different job forums, you can find Wikipedia editors to basically edit anything on the Internet, and just make it their job, and their daytime mission to make sure that whatever is said about certain companies, or chemicals, or ingredients, that they are seen favorably on the Internet. Vani Hari: And as much so as to make sure activists like me, and messengers of change like me don't get their message out. And that was one of my big eye-opening moments of like, "Whoa, if someone's hiring some guy to like watch my Wikipedia page, what else are they really doing out there?" Like how bad is it really getting? And that's what I talk about in this book, and it's bad. Shawn Stevenson: It is nuts. It's just like a straight up movie, like a suspense thriller, some of this stuff is like in the same vein as like The Pelican Brief and Sloane with Jessica Chastain. But this might be a movie someday. Who would you have play you? Vani Hari: Oh, that is a really good question. Shawn Stevenson: Just say it. You had somebody come up, just say it. Vani Hari: Isn't this just weird? I said Michelle Obama. Isn't that just weird? Is that weird? But like if she could go back- I don't know. I've been listening to her book 'Becoming,' and it is captivating. So she was the first person that came to mind, but then I'm like, "No, she's not the right demographic and the right age range I think right now." But so I'm trying to think of an actress, somebody- I don't know. Maybe the Princess of Wales if she went back to acting. Vani Hari: Of acting, or I don't know. Shawn Stevenson: But I just saw the trailer, "Michelle Obama plays Vani Hari in Feeding You Lies." And by the way, so just to take a step back, you mentioned the coconut oil thing. It became just so pervasive, like on social media, and I usually just don't respond to that kind of stuff a lot of times, but so many people asked me about it. I was like, "Okay, I'll check it out." Because I already knew the facts about coconut oil, like I've been studying it for ten years, and like I've read the books, I've read the studies. You know? And I went and I looked at the background, and some of the studies they were using, it wasn't even on coconut oil, it was just on saturated fat. Shawn Stevenson: It was just like, "What?" It matters where it's coming from. It's just like all these things, and I broke it down on an episode I did, and I'll put that in the show notes for you guys as well. And yeah, so it's just like- but then you see there's this big push, and you've got to understand that when you're messing with people's money, we're talking about billion dollar industries, and you start cutting into their bottom line, of course they're not just going to sit by and let this happen. So coming after you, some people might think, 'Why would they put that much energy into it?' And also understanding like social media has been a big influence, even for political campaigns. Right? This is happening all day, every day, 24/7, and you found ways to kind of highlight some of this stuff. So let's talk about some of these ways that they've been able to influence what we're seeing, and from what we're seeing on social media, to print, to in the grocery stores. One of those things you talk about is trade groups. So what are those? Vani Hari: That's right. Yeah, so whether you call them trade groups, front groups, there's many names you could call these groups. But they are groups that look like they're grass roots, that they're independent, that they're third party, that they're non-profit even, but they're really being funded by the food and chemical industry. So these groups, their entire purpose is to make sure that they advance the agenda of the food industry in one way or the other. You know, a perfect example of this, there's the American Council of Science and Health. That's one example of it, and they have done a really good job on making sure that if anyone is featured in the media that is talking about genetically engineered ingredients, or pesticides, or chemicals that are sprayed on crops here in America, mainly Monsanto's Roundup, that they will do a smear campaign on not only the messenger, the journalist, anyone who is really presenting the data. They really have like people who will act independent, and give comments to different reporters. They'll convince reporters to join them in different meetings that they learn about some of these corporations, and then these reporters kind of get swayed into different story ideas because of these relationships. One of the sad things that I experienced working towards getting a lot of these companies to change is I had my hometown reporter come to my house, and she sat down with me- and she'd interviewed me many times about some of the campaigns. But now she was really doing a profile piece, and she said to me, she said, "Vani, this is going to be a really hard interview." And I'm like, "Okay, alright." And she was like, "It's going to be serious." I was like, "Alright." And she said to me, she says, "There is this professor who is an independent professor, who is telling me that you are not scientific in your findings, that you have no science background, you have no business talking about the chemicals that you're talking about, and that you do not have the scientific research to back up what you're saying." And I looked at her and I was like, "Listen, every single campaign, every single ingredient has been either looked at by different scientists at actual non-profit organizations who look out for the public safety of the world." Whether it's the Environmental Working Group, or the Center Science of Public Interest, or various different people. People at the NRDC, or people at Consumers Union. Scientists that work at these places have seen the studies, have reviewed it, and I have talked to these organizations, and they have seen the science that back up my claims. And I go, "I think this guy that you've mentioned here hasn't met a chemical he doesn't like." And she was just like, "Well, this guy is independent." Right? And I couldn't prove it at the time that this guy was independent, but this is a professor that was also working with these different trade and front groups for the food industry. And I knew because he was working for some of those that there had to have been some incestuous involvement with the food industry, and it wasn't until I actually submitted in Canada - and I don't remember what it's called in Canada, but it's not called the Freedom of Information Request Act. It's their public records request that you can do in Canada for this one professor, and when I submitted that request, I realized I could get like all of his email correspondence with different various chemical corporations, and I submitted that, got all of the data, and I quickly realized and saw the involvement there. The fact that he's speaking on behalf of Bayer Crop Science, Monsanto, Syngenta; every single big chemical corporation that me specifically was trying to educate the public about, and the chemicals that are being sprayed on non-organic produce, and realized the reason why this guy is against me is because he is really on the take with these folks. And I wish I could have presented that data in that interview in my house to my hometown reporter, and I couldn't back then, but I'm so glad that I found that information now, and I've presented it in this book, and showed the evidence. When you read an article about someone, or a topic, or anything, and there is an expert being stated to prove a point of view, you've got to find out who that expert is, and what their reasoning for being quoted is. And it's a sad situation that we have to go through that measure. We can't just at face value believe what we're reading in the media, but our health is that important that we have to take an account. If you're going to be making dietary changes to your diet, and you are going to make it a commitment to be the healthiest person you can be, you owe it to yourself to educate yourself about what's truly healthy, and not just believe headlines, or the latest fad diet, or what the latest celebrity is doing, or anything like that. You really owe it to yourself to look into what is the healthiest way for me to try to eat? And what are the foods I really need to avoid and need to eat? And is it really okay for me to eat all this processed food? Because there's this assumption that it's been tested and safe, and it just hasn't been. Shawn Stevenson: Right, and you make it so clear in the book. That's one of the things that you talk about as far as how is this stuff packaged up? It's having academics for hire basically, and these trade groups, and understanding- just asking this question from now on, all of us like, "Where is the information coming from?" Alright? When you hear this campaign that coconut oil is going to- like you're going to die yesterday. I know you're still alive, but you actually died because of coconut oil. Where did it come from? And just look into it a little bit, and you find out- and they might have like a fancy sounding name behind it, or whoever this trade group is. Front groups is another thing that you talk- first of all, what is a front group? What is that? Let's talk about that. Vani Hari: Yeah, so a front group is what I described before, which is basically- it looks like an independent third party grass roots group, and it's really not. It's being funded secretly by the food and chemical industry. So they really hide the funding. Shawn Stevenson: Right, and you can have multiple, multiple- like just it's really difficult to trace it back to where it's coming from. Vani Hari: Yeah, and a really good example of this is like there's a trade group- so like trade groups would be like, for example, like farm bureaus. You know, there's farm bureaus that whenever I would start a campaign to get a fast food chain to stop the routine use of antibiotics in the production of their meat, these farm bureaus would start to get involved, and they'd get really upset. They'd say things like, "Oh, antibiotics haven't been used for a while," or " We don't use it that way," or "You're over-exaggerating this." They would try to do whatever they could to make it seem like it's not an issue, when in reality, the overuse of routine antibiotics is creating super-bugs, things that we can't treat on humans, and that could cause serious issues in terms of- I mean, it's related to several thousands of deaths in this country. So it's very important that we address this issue of routine antibiotics. And so that's an example of a trade group. But a front group would be something that you wouldn't really be able to trace back. You'd be kind of like, "Well this group all the time kind of always defends the chemical corporations. Why are they always defending the chemical corporations?" And it's usually a long verbose name that no one can really remember, all these different acronyms, because there's a whole section in the book of all these different acronyms, and I hope people don't gloss over it, because it's important. But it's really important to recognize that this is how the food industry is able to push their propaganda. Because they can't do it- they can't say like, "Coke funded this." Or, "Coke's representative says this." Right? They have to get some third party person to advance their agenda to make it look legit. Shawn Stevenson: So crazy. So again, you detail your interactions, some of these stories, and it was nuts. Like you getting access to the emails. This again looks like that political stuff. Like wait a minute, and to see the conversations right out of their own mouths. It's just really, really interesting. Again, it's kind of like a thriller suspense movie. It's just like, "Oh my goodness, I hope everything turns out okay." And it will, but this is why we're doing what we're doing right now, is to get this information out there so we can make a truly educated choice. And so I want to ask you about some of the other things that you are highlighting in the book as far as some things we can proactively do ourselves, and not get caught up in these basically label lies that are on foods. And so let's talk about the trans-fat free label. Because trans-fat, that's one thing that a lot of experts, whatever side of the conversation they're on, generally it's just like, "That's not so good for you." Right? Shawn Stevenson: And but they can get away with this as far as this label lie. So talk about that. Vani Hari: Yeah, so trans fats luckily are being banned by the FDA, which I'm so excited about. They still have a few years I think to finally get it completely out of the food system, but food manufacturers are responding and they're removing it. However, there are certain other ingredients and chemicals that have been invented by the food industry that still contain trans fats, and monodiglycerides is one of the ingredients that could contain trans fats. And this is something that is in just about every baked bread you see in a conventional grocery store, and it's in a lot of different products, and it's just another lie that you see out there that just is blatantly on the label, and if you don't know what monodiglycerides are or haven't looked into what that chemical does in the body or what it breaks down to, you're not going to know this as a consumer. And so for me, the best way to avoid these different chemicals is if I don't know what it is or why it serves a nutritional purpose in my body, I don't want to consume it. Shawn Stevenson: Yeah, you know what's crazy, is fifteen years ago when I was a strength and conditioning coach, I was enlightening my clients about trans fats, and it was banned in like restaurants in New York City, and just like some other stuff. That's fifteen years ago. Like it was banned at small places, now it's like finally, after fifteen years, and I just don't want people to wait that long and to continue to be an experiment. Wow, so that's one of these label lies. What about this fat-free? Just a fat-free label lie. Vani Hari: Yeah, the problem with fat-free is that a lot of times what they'll do is they'll take out the fat but they'll add in sugar to make the product taste worth eating. And on top of that, not only do they add in sugar, but they'll add in other additives that make your brain think that you're eating fat. So natural flavors, artificial flavors, any type of flavors being added to make your brain spark that interest in that food and make you eat more of it. Shawn Stevenson: Yes, Mark, and he talked about it's a gaschromatograph. Like they could find out what makes up these flavors, and then make it themselves. Right? And so when it says artificial flavors, basically it just means chemicals. Vani Hari: Yeah, and what's so alarming about these artificial flavors is that just recently, back in October, several different environmental organizations and consumer safety organizations sued the government to remove seven different artificial flavors that have been allowed in our food supply, that are linked to cancer, that show in animal studies that it causes cancer. And these are artificial flavors that have been in gum, and candy, and all sorts of slews of things for years and years and years. And the food industry has gotten away with using these chemicals. The FDA has responded and said, "Yes, we're going to remove these seven chemicals." The seventh one actually is one that they don't use that often anymore, but six of them are going to be removed from the food supply. The worst part about the situation, the FDA is not requiring the food companies to release which products are using these ingredients. So for the next two years, consumers are still going to continue consuming these artificial flavors, and unknowingly consuming cancerous causing ingredients. Shawn Stevenson: Wow. That's nuts. Wow. I just need to pause here. Man, it's just gaming the system really. Shawn Stevenson: And the system, again, it's not going to change until we do something. That's one of the things you really talk about. First of all, let me say this. You talk about in the book something that is so Captain Obvious, but we don't really think about it. Companies are not just going to change their practices. If they're making money, everything is rolling really nicely, why would they do better and put in better ingredients? We have to force the change to take place. Shawn Stevenson: And so it's pretty difficult to believe a company like Kraft is just all of a sudden, "You know what? We're just- it's organic cheese. Our cheese-like product." It's like we have to force that change, we have to demand it, because again, it's really about the money. Companies are going to continue to use these loopholes and they're not going to go down without fighting. So I want to talk more about some of these insights that you have here in this fascinating new book, 'Feeding You Lies,' and we're going to do that right after this quick break, so sit tight and we'll be right back. Alright, we are back and we're talking with New York Times bestselling author, the incredible Vani Hari, about her new book, 'Feeding You Lies,' which I have an early edition, which you can pre-order like right now. You want to get your hands on this book. And before the break, we were talking about some of the industry's playbook for taking advantage of us essentially, and for us to just kind of wake up and be more empowered in this process. Some of this stuff, again, it's a little bit like heartbreaking to hear, but also there is a good side, which is again, we can take control of our health, pay attention to what we're putting in our own bodies, what we're doing for our families, and change the system. And another strategy that you talk about in the book is astroturfing. Can you talk about that? Vani Hari: Yeah, absolutely. So astroturfing is something that I had no idea was actually happening, and I don't know if anybody watches the show Homeland. Shawn Stevenson: I know- is Brody one of the characters? Vani Hari: Well he was, like in one of the first seasons. Shawn Stevenson: Okay, I just heard it in a rap lyric. As you were saying? Vani Hari: Yeah, well anyways, they showed actually - it was really interesting - they showed how this happens, which I thought was fascinating on mainstream television. But when there are ideas being challenged, when the status quo is being challenged, when the food industry has gotten away with serving us this slew of chemicals, and these bad ingredients, and really unhealthy products for so long, and now the public is waking up. They're doing whatever they can to prevent us from knowing the truth, and they will do anything to sway public opinion. And the way they do that is they actually hire PR firms that have groups of different online profiles to comment in favor of whatever they're promoting on different channels. Shawn Stevenson: That was a Freudian slip. Fake. Go ahead. Vani Hari: Facebook has done a really good job at banning a lot of these fake profiles and finding these different types of troll farms that they have, but they exist out there, and there's still people out there that are going in a comment section on different mainstream news sites to try to sway public opinion, and that is something that I didn't know happened until it actually happened to me. So I was featured on the cover of Experience Life Magazine back in 2014, and after I was on the cover, they received an online slew of bad backlash about me being on the cover. Now, I sold the most magazines that year, me being on the cover, which I'm really proud of. But what was interesting is because of that, the food industry was so threatened by the fact that I was on the cover of this magazine that they sent people who were against the changing of ingredients, this group of people who are really hired to try to prevent these changes from happening in the food industry, and to protect the reputation, if you will, and try to bully Experience Life Magazine. They took their Amazon ranking of like four and a half stars down to two stars, putting bad star reviews on their Amazon profile of their magazine. I mean, they went all out targeting this magazine company because I was on the cover. And this is what they do when activists or people of- someone who's trying to change the status quo and get the truth out there that hurts their bottom line, they're willing to employ any of these types of tactics to bully the media from featuring me or featuring any of us to prevent these messages from getting out there. And so this has happened, not only to big magazines and things like that, but it's happened to podcast hosts like yourself. It happened to Rich Roll. I'm sure you guys- you know Rich? I was on his podcast and he couldn't believe the amount of online comments he got about having me on his podcast, and he just thought it was hilarious because he knew that these weren't like real people, and these were not real people who care about their health, or like really want the food industry to change. Shawn Stevenson: You know, this is just- again, all of us are going to have critics about different things, but it's about having these healthy conversations, and we know what that looks like. But having those strategies of having people just coming in, and even using different bots or recruiting methods to put negative comments, and Experience Life found out about that, and they made a statement to support you, and to just kind of discard that negativity that was coming in. And you know, again, like you've been through a lot of stuff, and you detail that here in the book, and man, it's just a lot of these different strategies. And now that it's like we don't just have one or two mediums anymore. Now like everybody's online, and so that's a big place where we go to get our news. And so we just need to be, again, more sensitive and more aware about the information that we're taking in when we're online. So wow, again it's not just the story, but you highlighting some of these things that, again, are kind of hiding in plain sight. And I've talked- it's so funny is that you put in here so many things I've talked about over the years. Like I've done shows specifically on these things, and you're just going through like, "Yeah, this too, and this too, and this too." And one of those things is this gluten-free phenomenon. Right? So if it's gluten-free, we've got gluten-free water, we've got gluten-free candy. If it says 'gluten-free,' it's all good. Right? But it's not all good. Vani Hari: Yeah, so you know, whatever trend happens in the health world, the food industry latches on and they're like, "Okay, gluten-free is a thing, we've got gluten-free. We'll make gluten-free cookies, we'll make gluten-free cake, we'll make gluten-free bread, we'll make gluten-free everything." And you know, gluten-free marshmallows, I mean it is just nonstop gluten-free out there right now. Vani Hari: And what's interesting about the gluten-free movement is if you're eating gluten-free to reduce the amount of grains you're eating, or to regain health because you have Celiac's disease, or you have a gluten sensitivity, that's all really great. But what's not great is for you to go to the grocery store and go to the gluten-free aisle and think you have free reign of all those products. Those products are full of actual starches that increase your blood sugar level, just like they would if you ate white flour. And so I go through all of those ingredients, and those different landmines that you can fall through if you are labeling your diet a certain thing and think that you can just eat this way because the package says so. Vani Hari: And that's what's been the problem with the diet industry, and the reason why so many people are on this yo-yo train, is because they think they're on this diet, and it has this label, and that they can eat these products and be okay. Shawn Stevenson: Right. Yeah, so it's not coming with an education really, you know? It's just giving us a permission slip. You know? "It's gluten-free, or it's vegetarian." You know? Again, there's a lot of stuff that's vegetarian that could kill you. You know? Shawn Stevenson: So let's not get fooled just by the labels, and understand that there's a good intention behind some of this stuff, but we have to see deeper. Vani Hari: I think the one that is the deepest, the one that is the real dark hole, is the non-GMO label. You know, the non-GMO label is produced, it's the fastest growing label out there. And the reason why the non-GMO label became so pertinent on just about every label you saw is because we were in a big battle federally to label genetically engineered ingredients on our food products. And because of that battle, and because of Prop 65 in California, there was a lot of attention around this. And the reason why I campaigned for it was because I was worried about the chemicals that are created to be in conjunction with those genetically modified seeds. You know, when Roundup is sprayed on these genetically modified seeds, those seeds are patented and created to withstand heavy, heavy doses of these chemicals applied to it, and I didn't want to consume those chemicals. You know, I was concerned about the genetically modified seed itself. I was like, "I'm not sure if the science is in or out about that." I've never been against biotechnology, but I was 100% concerned about the chemicals being sprayed on those seeds. The non-GMO label was important to me, but what I realized through my studies and through research, is that those same chemicals - the Roundup - is still being sprayed on tons of conventional crops that are not organic. Things that are even non-GMO crops. So when you buy a non-GMO corn chip, and it's only non-GMO, you're still eating Roundup. You're still having Roundup, and I think that's the biggest misconception we see right now at the natural health food stores. We see this non-GMO label, we think, 'Oh, non-GMO, we can get that snack bag and eat that.' But you know what? If it's not organic and it's non-GMO, that means it's still being sprayed with Roundup and you have to avoid it. Shawn Stevenson: Yeah, and we might think this is not a big issue, but we've got some recent studies that have found the majority of mothers tested - breastfeeding mothers - they find these glyphosates in their breast milk. I think it's like 71% or something like that. It's crazy, you know? But again, we do the best that we can with the knowledge that we have, and you have three questions that you ask- we ask when deciding about the food that we're going to consume. Can we go through those three questions? Vani Hari: Yeah, so I think eating is really simple. The only people that have made it complicated are really the food scientists that have created these products, right? Eating is really simple, and if you boil it down to these three questions every single time you go to eat something, you are going to set yourself up with success. And you need to know what's in it, and you need to know what the ingredients are, and if you don't understand the ingredient, and you don't know why it's there, you need to put it back down. And if you understand the ingredients of what you're eating, you're going to be doing really well. Secondly, you ask yourself, 'Are these ingredients nutritious? Yeah, I know that's sugar, but is that nutritious?' Right? 'Oh, I know that's canola oil over there, or I know that's some other ingredient, a natural flavor.' Right? 'I know that's natural flavor.' Okay, I kind of know. Shawn Stevenson: It sounds natural. Vani Hari: It sounds natural. Right, but is that nutritious? And if it's not nutritious, put it back down. Right? And then you go and you take it a step further and you say, 'Where is this food coming from? Where are the ingredients coming from? You need to ask yourself these questions, and that is how you get to real- the integrity of how to eat. And it sounds so simple when I break it down that way, but if you were to do that at every meal, and just ask yourself those three questions, and commit to doing that for a week, I guarantee you will learn so much, not only about what you're eating and your habits, but you'll start to make some changes. Shawn Stevenson: Absolutely. Absolutely, it's like a guiding- when you were talking about that, I was thinking about the movie Ghostbusters, and they have like this little scanner that finds like the whatever it was, like the ghost vibes that they were giving off or whatever. Ectoplasm or whatever. So it's like a guiding light guiding us to healthful eating. You know? Very simple stuff. So Vani, this has been awesome. I appreciate you so much for coming to hang out with me. And I've got another question for you. Why do you feel, like in your own heart, putting all your time and energy into making this book, why do you feel that everybody needs to read 'Feeding You Lies'? Vani Hari: We've been victims of the food industry for too long. I personally was walking around like a zombie for most of my life. I came from a background of parents that came here from overseas, didn't know what was happening, and was very trusting of the food that they were feeding us. And I think there's a lot of people out there that still trust what's happening out there, and you need to know the truth, and people need to know the truth. And if you do know the truth and you're listening out there, you need to spread the truth, and one way to do that is to get this book in your hands, in your friends' hands, and your family's hands, and let them see what's really happening, and pull back the covers. Shawn Stevenson: Perfect. Vani, can you let everybody know where they can pick up your book and where they can connect with you online? Vani Hari: Yeah, absolutely. You can get this book at any major bookstore or www.FeedingYouLies.com, and you can come over to connect with me at www.FoodBabe.com is my website. Shawn Stevenson: Vani, you are the best. Thank you so much for coming to see me. Vani Hari: Thank you so much for having me. This was so much fun. And I love the sentiment for her to say that if you care about your health, if you care about the wellbeing of the people in your life, get this information and start to continuously make the best choice possible. This is by no means telling you to be perfect in all that you do, alright? There's a lot of different stuff out there for us to enjoy, for us to take advantage of in this life, but the vast majority of things that we need to do should be helpful in leading us towards health, and wellbeing and preventing disease, versus so many things that are in our food supply right now that are not health-affirming. They are in fact- many of them are clinically proven to be causative of disease. Everything from diabetes to cancer to heart disease, you name it, and even the condition of obesity in and of itself. And so- but we have the power to change, and it starts with us. It starts with us making better decisions about what we put on our dinner table, and it's really that simple. I think that health really starts there, and it's not just the food, it's the community, it's the experience of eating together. It's one of the things that's like historically- 'breaking bread,' whether it's gluten-free or not, it's how we bond and come together as a culture. And so the decision that we make on what we're eating ourselves and what we're putting in front of the people that we care about makes a world of difference. And so again, we're doing the best that we can with the knowledge that we have, but it's time to get educated. Right? And the more that we know, the better that we can do. So again, if you got a lot of value out of this episode, please share it out with your friends and family on social media. Tag me and tag Vani as well. I think she's @FoodBabe, right? Shawn Stevenson: @TheFoodBabe on social media. You know, tag us and let us know what you thought about the episode. 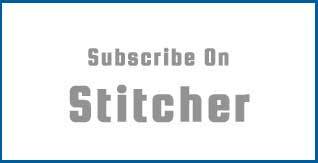 And you've got to know, I've got some incredible episodes and show topics coming your way, alright? So be ready. Alright? 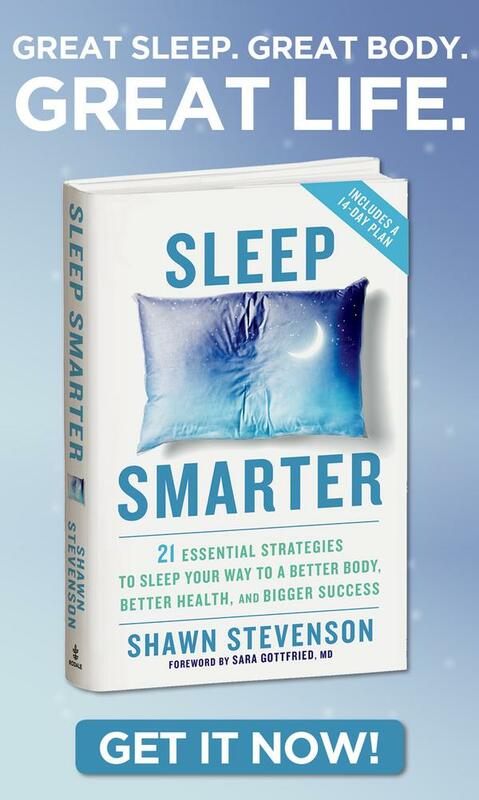 And one more note, again Mark Hyman said it best, 'If you eat, read this book.' Check out 'Feeding You Lies,' alright? I think it's going to be something really great to add to your library to keep pushing this conversation forward. I appreciate you so much for tuning into the show today. Take care, have an amazing day, and I'll talk with you soon.